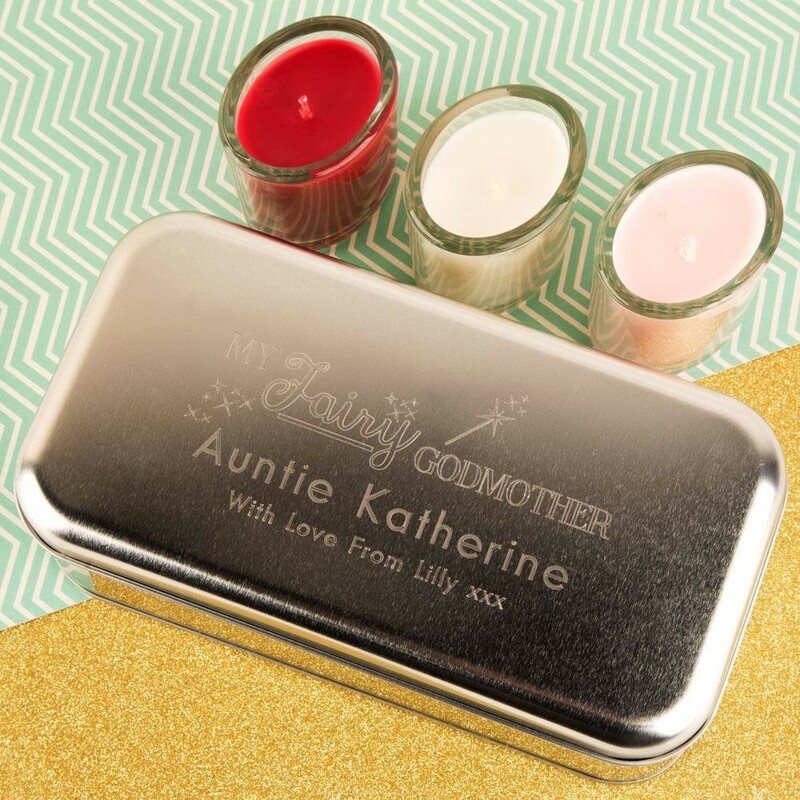 Your search for the perfect Godmother gift may finally be over now that you have found our lovely bespoke engraved candle gift set. 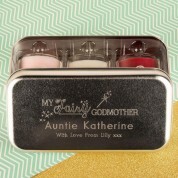 Transformed from a nice gift (to suit many an occasion) into a lifetime memory thanks to the Engraved Godmother design that also features a personal "With Love" message from the baby girl or boy who is getting Baptised or Christened. The trio of scented candles includes "Cranberry Cosmo", "Simple Breeze" and "Pink Cherry Blossom". The fragrances are distinctive and chosen for popularity, avoiding any "Marmite" choices! 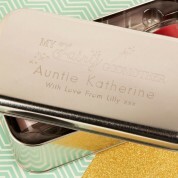 As with any tin gift you can expect small marks on the surface of the lid but nothing that detracts from the beautiful engraving and even after years of use the engraving will still stand out and undoubtedly bring a smile to the recipient as she remembers the occasion and sentiment.